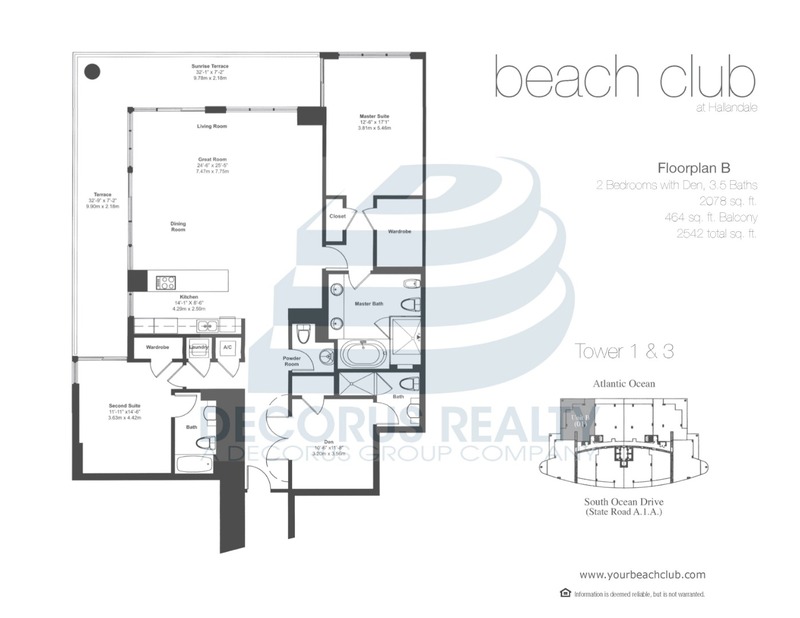 Beach Club Hallandale(Tower Three) > PH4401 - Beach Club 3 Penthouse! Fully Furnished or Unfurnished 2-Story NE Corner Upper PH that stands out from the rest. Completely Remodeled Modern Design! 3 bedrooms w/ 4 1/2 baths. Total 2505 SqFt of living area. 2023 sf living & 423 SqFT balcony on 1st floor! 2nd Floor has 482 SqFT living w/ 1858 SqFT of terrace, all w/Beach Oceanfront & Intracoastal Views. Complete Smart Home system controls motorized shades everywhere, audio, TV, both A/Cs, surveillance & lighting. Lots of Beach Club Amenities!! Looking for long term. Decorus Realty LLC is not responsible for the accuracy of the information listed above. The data relating to real estate for sale on this web site comes in part from the Internet Data Exchange Program and the South East Florida Regional MLS and is provided here for consumers personal, non-commercial use. It may not be used for any purpose other than to identify prospective properties consumers may be interested in purchasing. Real Estate listings held by brokerage firms other than the office owning this web site are marked with the IDX logo. Data provided is deemed reliable but not guaranteed. Listing provided by Urbaniza Realty.